If there’s one thing we at Fisher Glen Animal Hospital like to remember when it comes to aging pets, it’s that old age is not a disease. In other words, just because your pet is becoming geriatric does not mean they have to suffer unnecessary pain. One of the most frequent comments we hear regarding senior dog mobility is that their pet is no longer able to jump into the car or onto the bed. It seems like the pet is having more difficulty climbing stairs and doesn’t want to walk as far anymore. Perhaps they have even begun to lose interest in play. As we age our joints and muscles are not as strong or flexible as they used to be. Furthermore, arthritic changes can set in and we become less mobile. Our dogs are no different. Consequently, it is important to be aware of your pet’s stiffness and mobility problems early on.When it comes to arthritis in pets we all tend to think, “Oh, he’s just slowing down because he is getting old,” and while there may be some truth to this, it doesn’t have to turn a pet who would still like to behave like a puppy into a cripple. 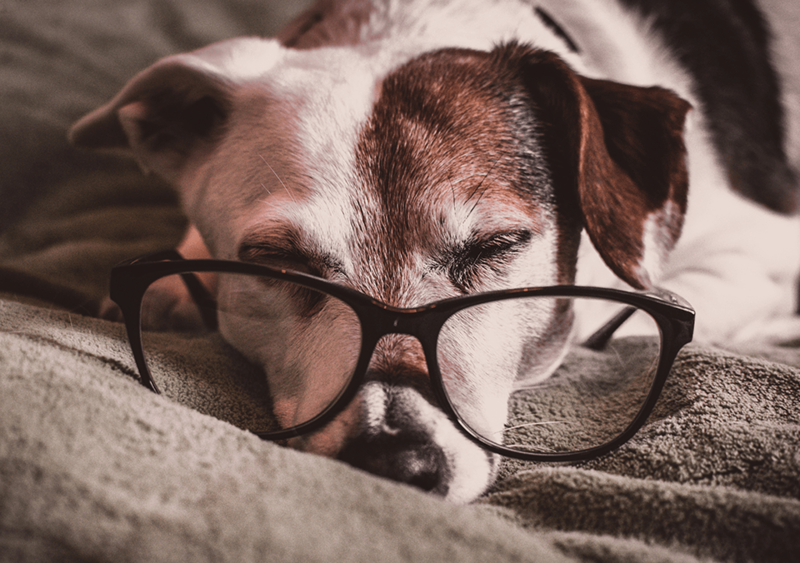 By being aware of your pet’s stiffness or mobility problems, bringing them in for frequent checkups, and acting early, we can help to keep your geriatric pets mobile for months or even years. It is vitally important that we keep pets pain-free enough to stay active, so that joints don’t seize up and muscles don’t waste away. Weakness just complicates matters. Treatments may involve using supplements such as glucosamine, green-lipped mussel and chondroitin; special diets; antiinflammatories or pain killers. There are also lots of alternative therapies available in Ottawa, such as underwater treadmill and swimming pool therapy, acupuncture, massage, and physiotherapy. We will assess your pet’s mobility each time that they are in for an examination, and recommend a customized healthcare approach specifically for your pet. Let’s keep a spring in your pet’s step! While you’re here, why not learn about all of the other Veterinary Services we offer here at Fisher Glen Animal Hospital, or check out our Animal Wellness Plans for pets of all ages? You can also visit our Blog for all the latest news from Fisher Glen Animal Hospital! Finally, Contact Us if you have any questions, or Make An Appointment to come and visit us today!